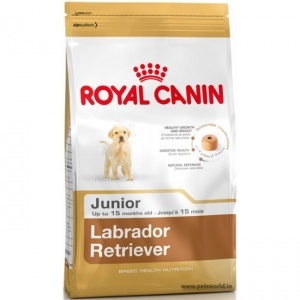 Royal Canin Labrador Junior is especially formulated for optimum growth management. Ensures the consolidation of the bone structure. Helps strengthen the barrier role of the skin and promotes a glossy coat. 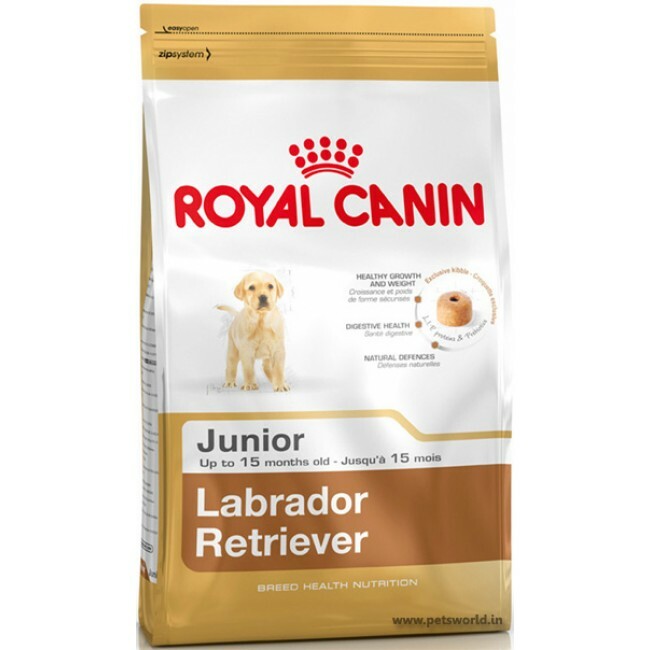 For dogs aged 5-15 months. Rice; dehydrated poultry protein; maize; vegetable protein isolate*; maize gluten; animal fats; hydrolysed animal proteins; minerals; beet pulp; fish oil; vegetable fibres; soya oil; fructo-oligo-saccharides; psyllium husks and seeds; hydrolysed yeast (source of mannooligo-saccharides); hydrolysed crustaceans (source of glucosamine); borage oil; marigold extract (source of lutein); hydrolysed cartilage (source of chondroitin). Protein: 33%; Fat content: 14%; Crude ash: 7.3%; Crude fibres: 1.7%; Calcium: 9,9 g/kg, Phosphorus: 8,3 g/kg.